Home / Help & Support/ Enrolment/Access: How can I give people access to my course? 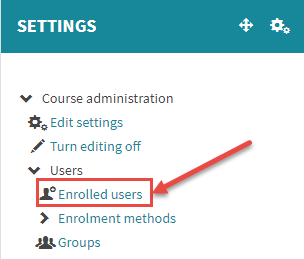 Enrolment/Access: How can I give people access to my course? Most students are enrolled onto QMplus course (or module) areas automatically. You should not have to enrol them yourself. If a students says that they do not have access to your course area, please instruct them to look at our checklist on I can’t see my course to ensure that the issue is properly dealt with. 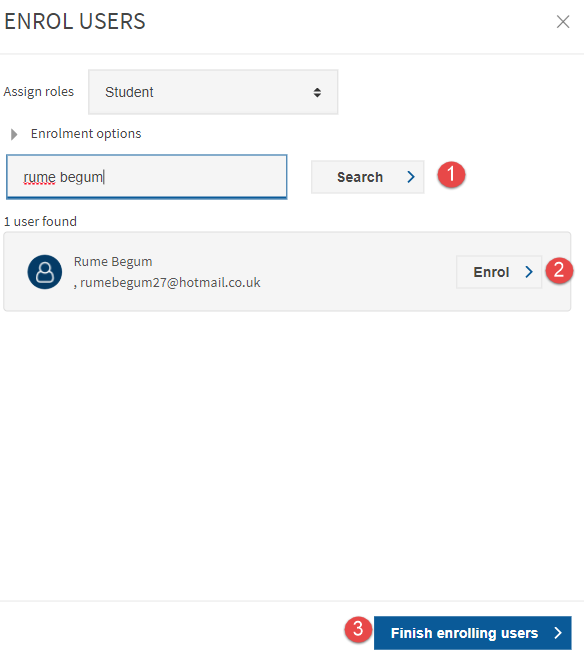 All new members of staff will need an account within QMplus before they can be enrolled onto a QMplus module. If a member of staff requires access for a guest or external staff, please raise a ticket with the Helpdesk requesting the creation of an affiliate account. Once this account has been created by the Helpdesk assistant, please follow the instructions below to give the users account access to a particular QMplus course or module area. 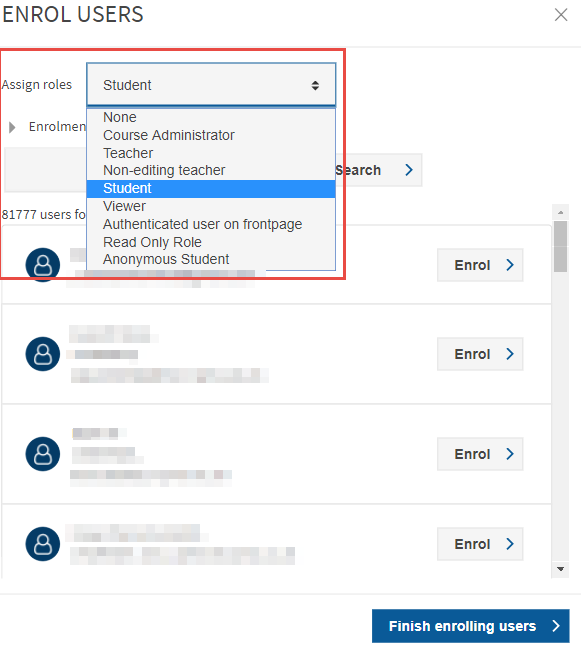 From the drop-down list, select the role you would like the person to have. For a complete explanation of the different QMplus roles, see the What are the roles on QMplus help guide. Find the person you wish to enrol by typing into the search box. You can search by name, email address and student ID. Note: All users enrolled this way will need to be manually removed at the end of the year/enrolment period. If you cannot find the person you are looking for, it may be that they are already enrolled on the course area. Check the list of enrolled users to see if this is the case. If you need to enrol a large number of users, it is possible to do this via a spreadsheet bulk enrolment. 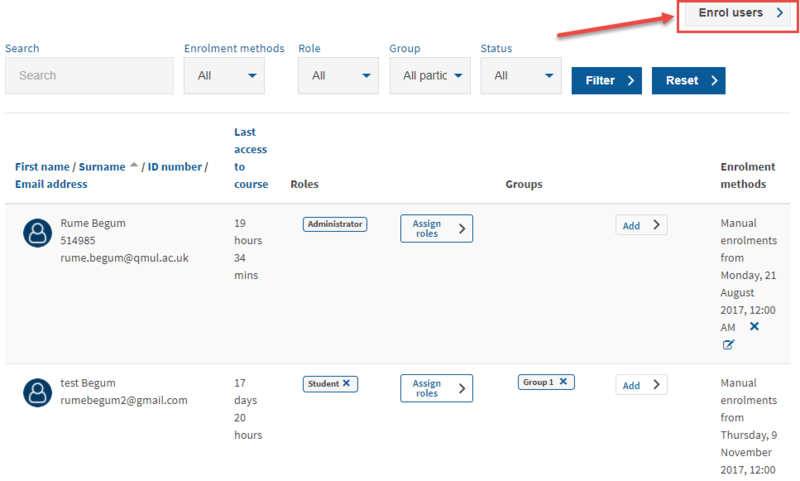 See our How do I bulk enrol users onto a module guide for more details. Did this answer your query? If not, you can raise a ticket on the online Helpdesk or email: its-helpdesk@qmul.ac.uk . Alternatively you can also request a particular guide or highlight an error in this guide using our guides request tracker. Produced by the the E-Learning Unit at Queen Mary University of London. How do I show/hide my QMplus course area to make it available/unavailable to students?